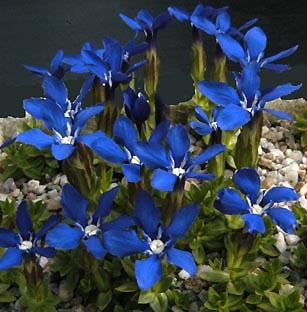 Gentiana verna – This well-known Spring Gentian occurs in grassland of the calcareous mountains of Europe, Asia, Caucasus. This species requires to be grown in quantity to do well. A single specimen in pan will not thrive for long. 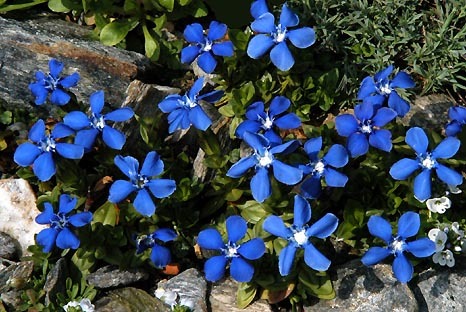 I grow it in my stone troughs and it is easily raised from seed.